Life isn't always easy and on a busy day, it's really easy for us to order takeout. However, whenever my husband and I order takeout we always have a ton of rice left over. 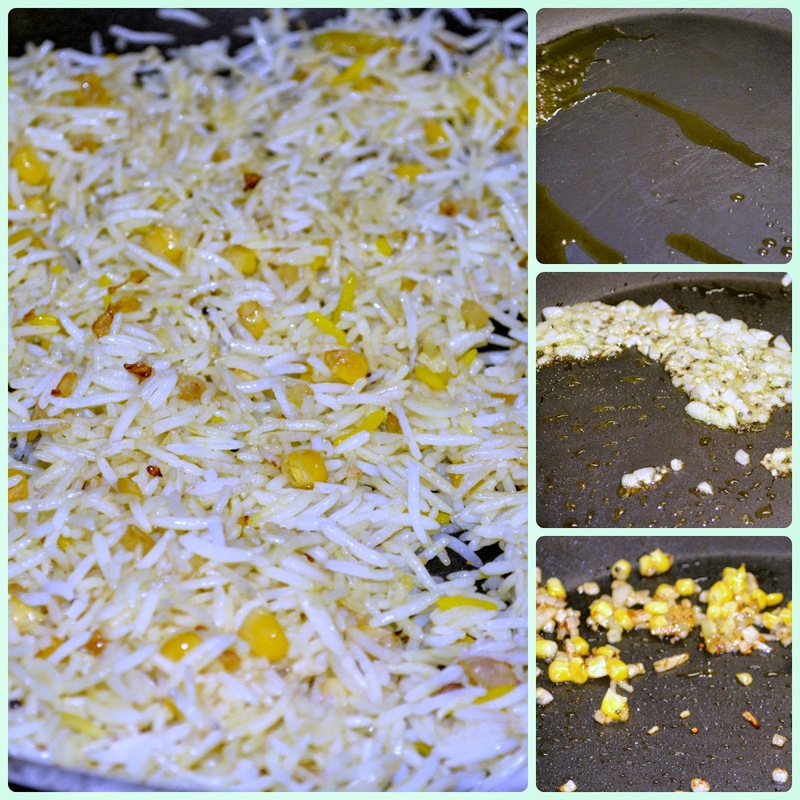 Rather than toss it, I like to fry it the next day to make a new lunch dish for me. It's a simple and tasty way to not waste so much food. Mix in turmeric, salt and chilies (optional) at this time. Stir to give an even coating of the turmeric so all the rice is a nice yellow color and cook for another 2-3 minutes. I do love fried rice. This looks delicious and not to hard to make and probably healthier then the kind that I buy. This looks delicious and seems simple enough to make. 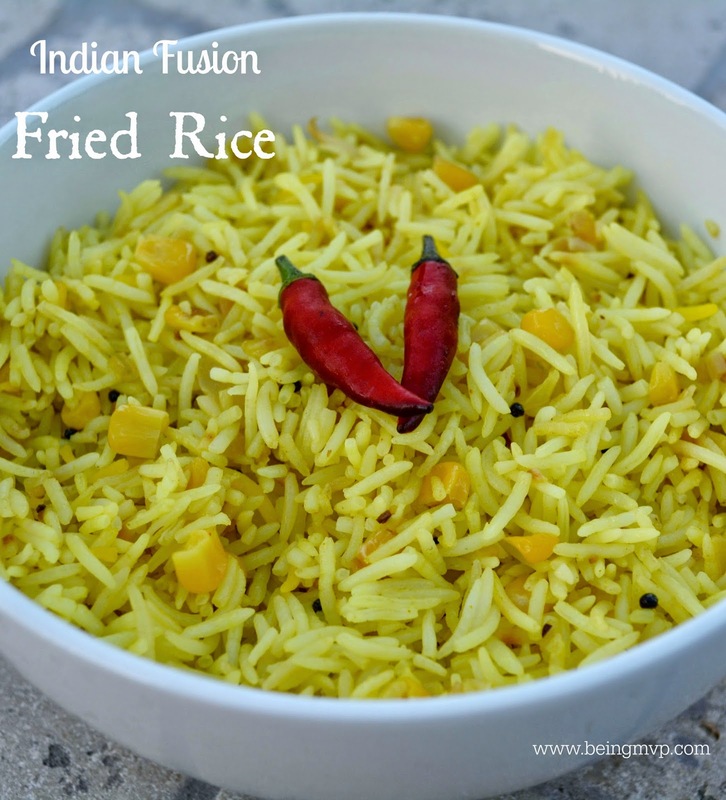 My family loves rice and I love trying new recipes. I'm very intrigued by this recipe and would like to try it. I love making ethnic foods, but haven't tried Indian b/c most of the time the recipe has so many spices I don't have and a little leary. I love the tiny amt of tumeric that makes it so pretty and the mustard seeds so perfect!! This looks like a very delicious recipe to make as a side dish with my pork sandwiches. I like how easy it is to make. Thanks for sharing! This looks delicious! I have some rice left over from yesterday. I think I will try this for lunch today. Thanks for sharing! Mmmm!! This sounds delicious and super easy!! Id love to give it a try! !